The following form can be copied, modified, filled out, printed and submitted to Rabbi Gansburg by April 9th, 2016. If you are unable to submit your form to a Rabbi in person, you may submit your form via email to Rabbi@ChabadFlorida.com. hereby authorize Rabbi Yossi Gansburg to dispose of all Chametz that may be in my (our) possession wherever it may be - at home, at my (our) place of business, or elsewhere - in accordance with the requirements of Jewish Law as incorporated in the special contract for the sale of Chametz. 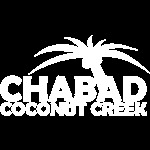 If you are unable to submit your form to a Rabbi in person, you may submit your form via email to Rabbi@ChabadFlorida.com .